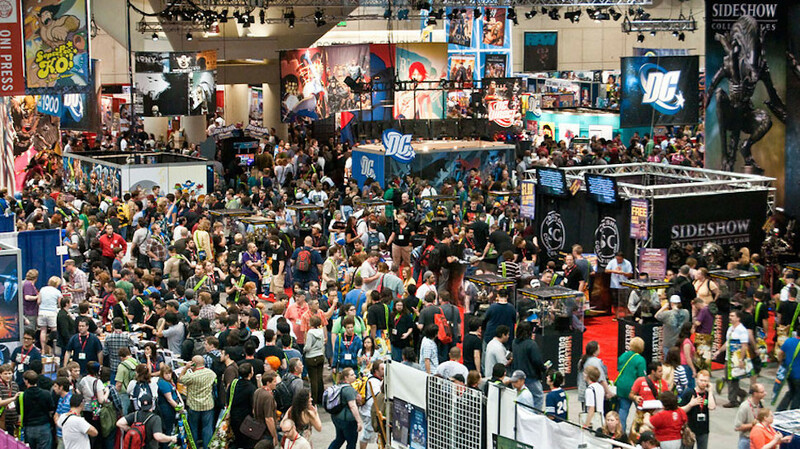 Super7’s first offering of new Eternian products begins next Wednesday, November with a variety of new made-to-order pre-sale products that will ship in early 2017. Over the coming days we will be revealing each of these new products and today it’s the M.O.T.U. Ultimates Line! Please meet the new MOTU Classics Ultimate editions of fan favorites. Each Ultimates figure comes in brand new presentation and includes a range of accessories and parts never before available in one package! 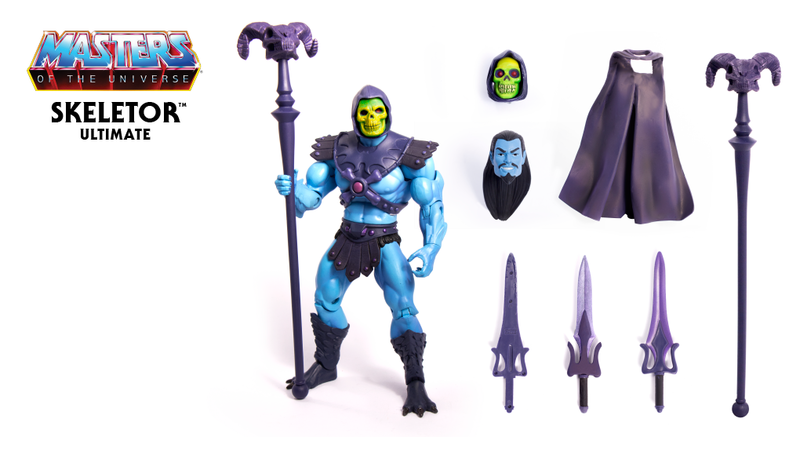 The Lord of Destruction comes with Skeletor sword, half sword, Ram head staff, Keldor head and cape, Power Sword, and mini-comic version head! The Most Powerful Man in the Universe comes with He-Man sword, half sword, axe, shield, vintage style and mini-comic style heads, and mini-comic version Power Sword! 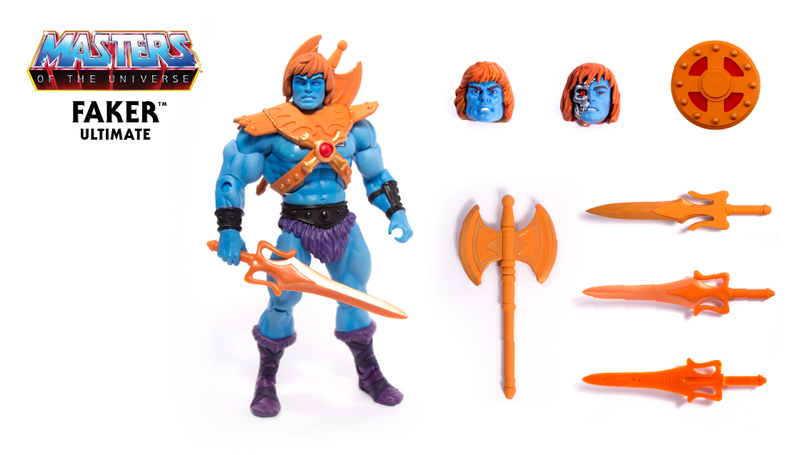 The Evil Robot of Skeletor arrives with orange Skeletor armor, He-Man Power Sword, Half Power Sword, mini-comic version Power Sword, battle axe, shield, and vintage style and battle damaged heads! 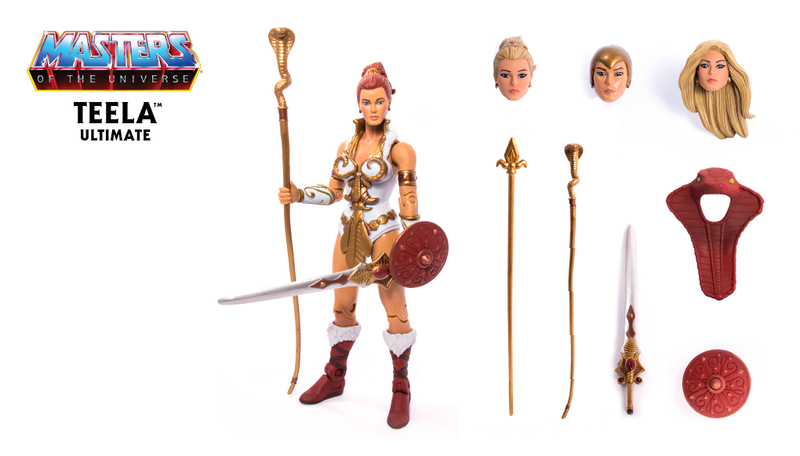 The Warrior Goddess comes with Cobra headdress, sword, Cobra staff, shield, alternate blonde hair and battleground heads, and spear! 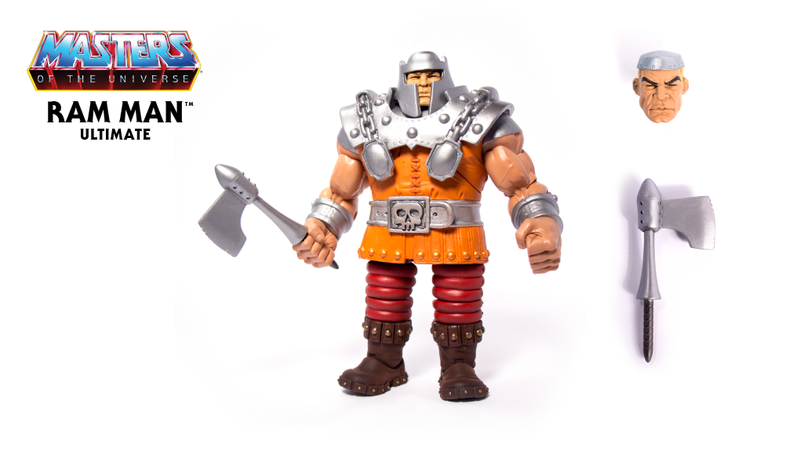 The Heroic Human Battering Ram comes in mini-comic colors with alternate head and axe!